Download Simple One Page Portfolio Website Template PSD. This is a simple one page website template designed specially for portfolio and personal websites. A fully responsive, modern and eye-catchy design will give your portfolio website a professional look. 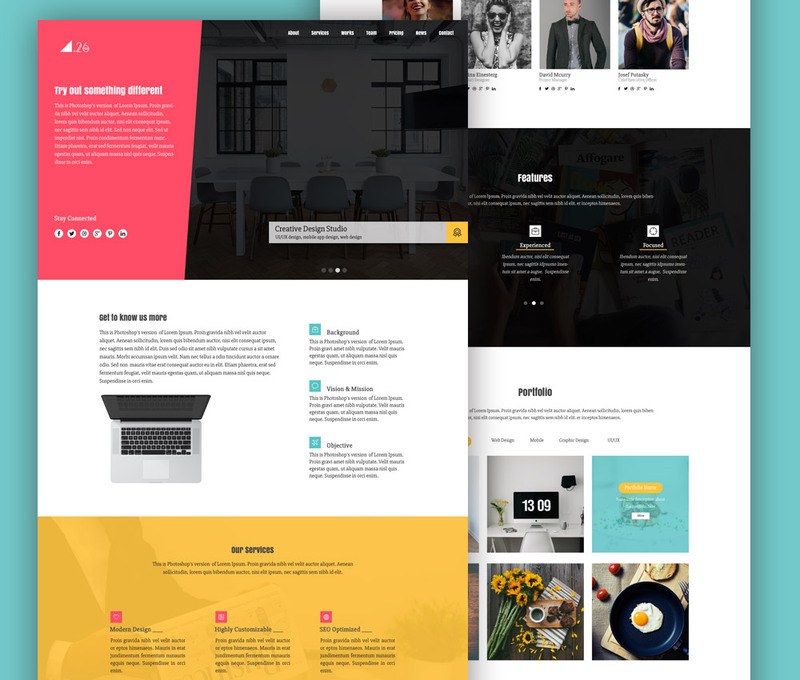 One Page Portfolio Website Template PSD built with a Bootstrap 1170 layout guide line, you can edit and customise this Simple One Page Portfolio Website Template PSD fast and easily. The Portfolio Website Template Free PSD can be useful for any other projects as well. Hope you like it. Enjoy!